If your costume is too good, you might be asked to change clothing or amend your costume in some way. You can not behave like a character by posing for pictures or signing autographs as this can be confusing for other guests. Your costume should not obscure your vision, be offensive or obstruct others. Costumes cannot be violent or too scary – there are lots of young children at MNSSHP. Now, the title of this post is Maleficent – Plus Size DisneyBound. What does that even mean?? Well, Maleficent is my favourite Disney Villain of all time and I’m plus size…this makes buying off the rack dressing up costumes a little bit tricky – especially if I want something specific like a Disney costume. So when I discovered DisneyBounding last year, I thought I would start putting together my own DisneyBound outfits. It is really quite simple – using inspiration from your favourite Disney characters, use regular clothing and accessories to inspire your outfit! There are some amazing DisneyBounders out there, you only have to check out Pinterest to get some inspiration, but when I looked through them, as amazing as they were, a lot of the ideas were just not going to work for me! Very high heels (not practical for walking around a theme park!) Lots of layers (I understand why, as it helps to build the outfit, but not practical for the Orlando heat) and, a lot were clothes not made for a plus size chick (well, a plus size chick like me that these days is very plus size). I want to DisneyBound in style, but still be cool and comfortable, and be able to walk around without tripping over in heels! Check out this picture of Maleficent, and you should be able to see how it gave me inspiration to create the DisneyBound outfit that I did. I bought Maleficent Mickey Ears last year for the special Disney event, Villain’s Unleashed, so I’ve got that part of the outfit covered already! 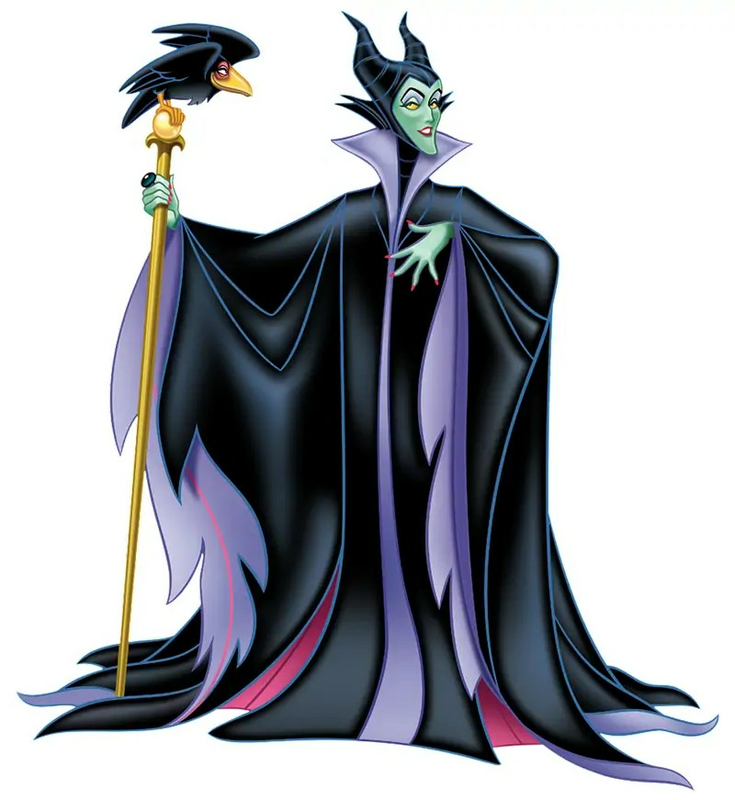 Maleficent wears a long cloak, with black and purple being the predominant colours. So I decided to pair a floaty, purple dress (also available in black, which would work too) with some cropped black leggings. Should it get a bit chilly in the later evening (as it can in October) then I’ve added a lightweight black kimono. Maleficent wears a black stone ring- check; and has Diablo, her raven, as her sidekick – can’t be taking no birds into the theme park, so a pair of raven earrings instead! The final touch would be the make up with green and purple eye shadow, bright red lipstick, and the same colour for nails. And that, as they say, is that! Well, other than me creating another outfit that I would wear to a Halloween party, here in the UK, where October is freezing cold, and I can get away with high heels for a while! Just click on either outfit board to be taken to my Polyvore where you can find all the links to each outfit element, and please excuse the blurriness of the items – the quality of the images from shopping sites is something I can’t control I’m afraid! Thanks for reading Day 24 of 100 Days of Disney 2015! 76 to go! Come back tomorrow for another Disney post! Great outfits. My four year old is going as Maleficent on Halloween, she’s her favourite villain too. It is nice to see a Disney bound outfit that you don’t need to be a twig to wear. Alot of the ones I find involve very short shorts, and me in shorts is not a pretty sight lol. Have a fab time. Maleficent is awesome :D I know what you mean – short, shorts, and tiny skirts – I’m never going to pull that look off! I agree, me neither. I found a lovely yellow dress, and green belt for a (non skinny) Pluto outfit for my holiday. Pluto is the best!! !